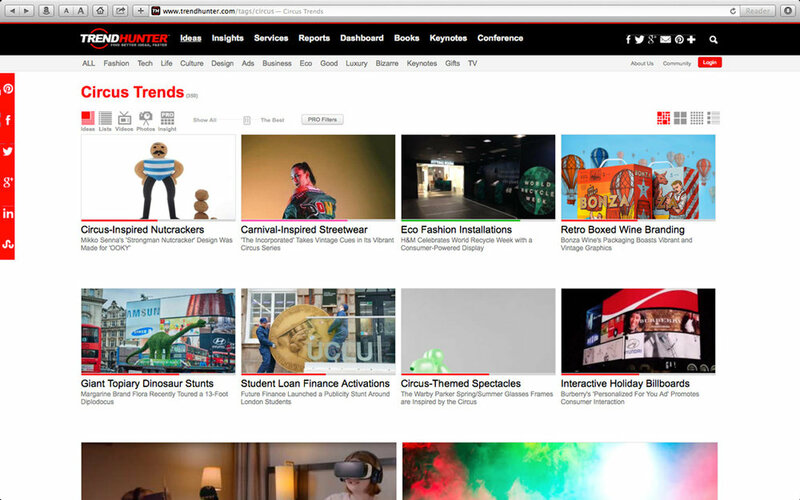 With up to 60,000,000 monthly views Trendhunter is the world's largest, most popular collection of cutting edge ideas. On 29th August 'Strongman' was featured accompanied with an article. 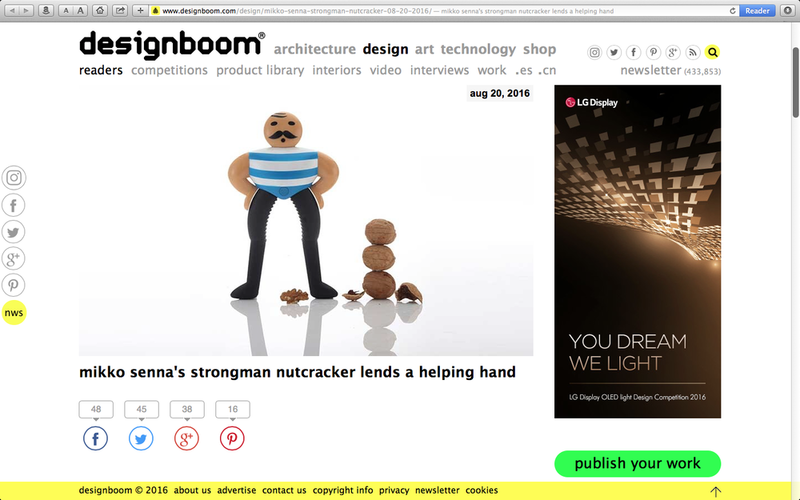 The Chinese edition of designboom is already one of the most popular online design and architecture magazines in mainland china. 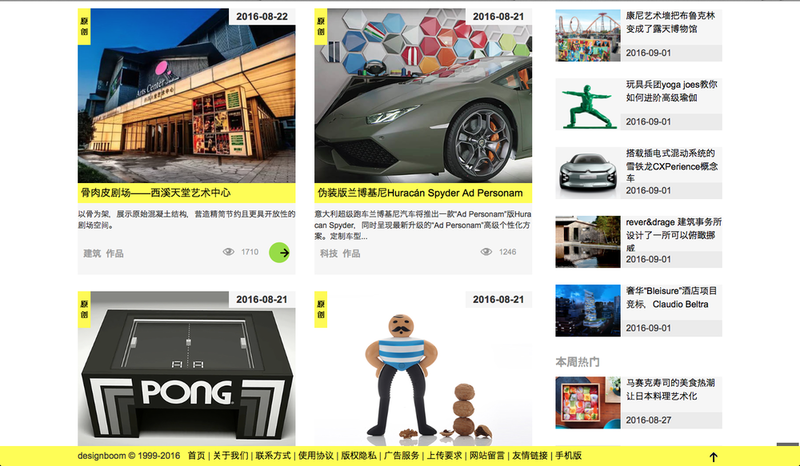 The site sees a selection of articles from the established english publication translated into mandarin, supplemented by local content. Mikko says Xièxiè! 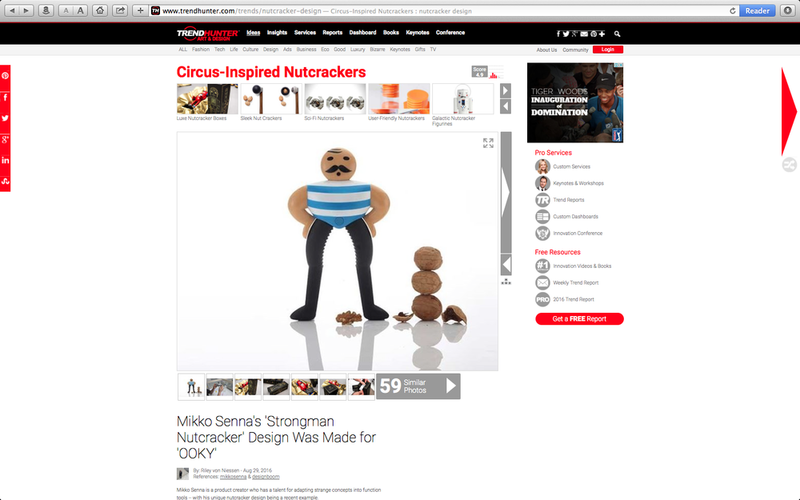 Mikko Senna's playful nutcracker for the Italian brand OOKY, premiered first time in late 2014. 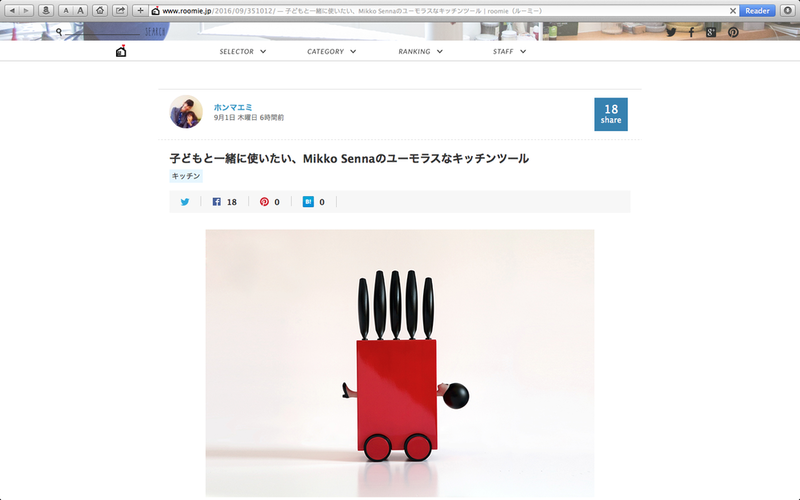 Here it is featured on designboom, the world's first and most popular digital architecture and design magazine with a global reach of 4 million readers. With up to 60,000,000 monthly views Trend Hunter is the world's largest, most popular collection of cutting edge ideas. Routinely sourced by the media, Trend Hunter is a source of inspiration for industry professionals, aspiring entrepreneurs and the insatiably curious. 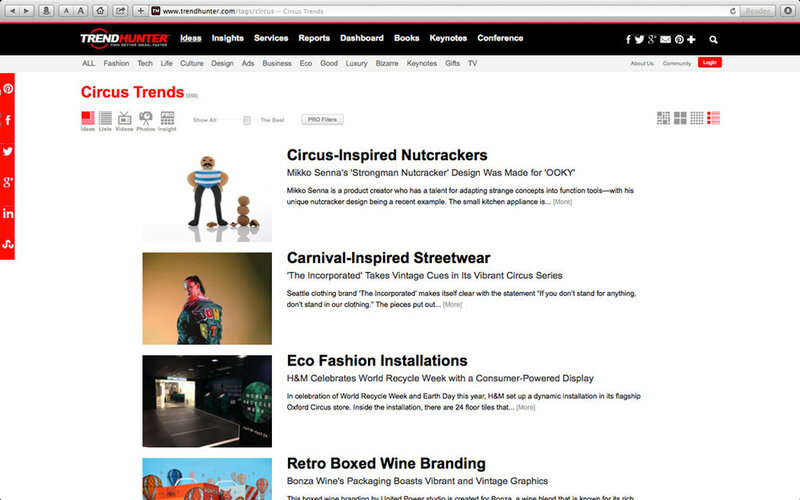 Trend Hunter has been featured or cited everywhere from MTV, The Economist, and CNN to the personal blog of Kanye West. 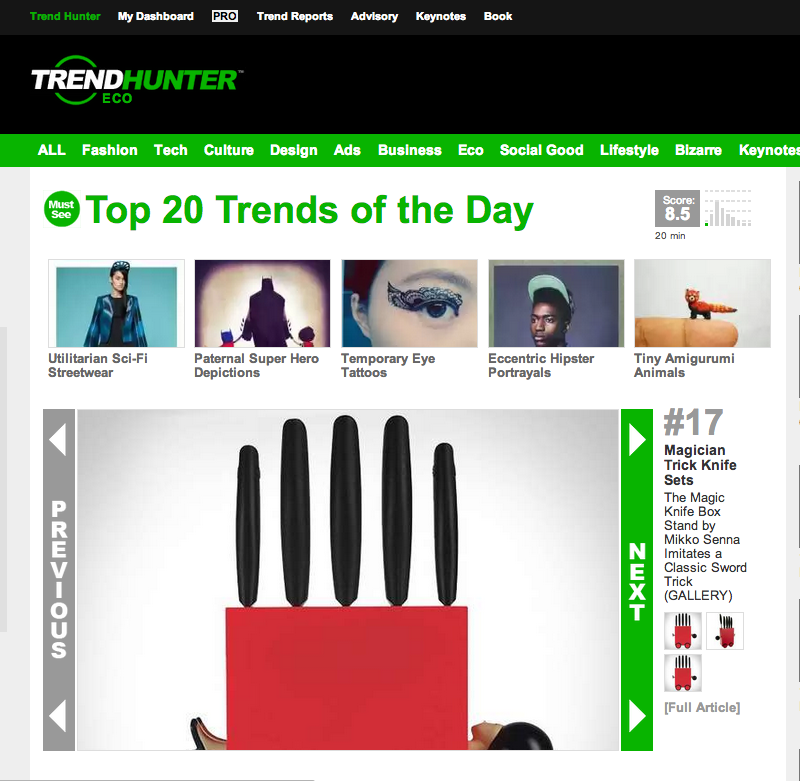 Each day, Trend Hunter features a daily dose of innovative ideas, viral news, pop culture and custom trend reports.